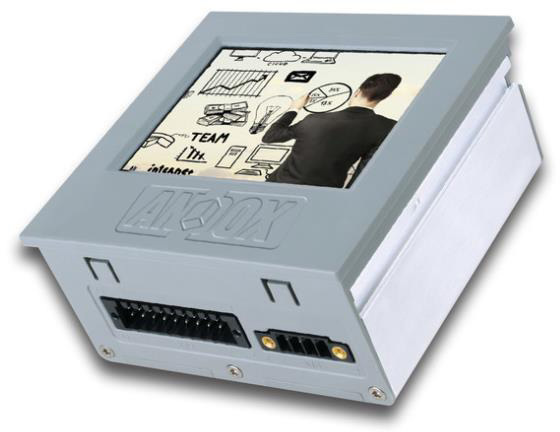 The Andox HMI from EMTrust GmbH is a nifty 3.5″ panel PC marketed as an “embedded-app-box” – what this means is a rapid time to market, heavily customisable, yet off the shelf embedded solution. Paying homage to its larger panel PC brothers, the Andox offers wide range DC input, fanless operation and front IP65 protection, designed for IIoT applications including time management, alarm monitoring, though is equally employable within any M2M communication environment. Its compact 96 mm x 96 mm x 47 mm footprint alongside DIN rail mounting support means the Andox drops with ease into standard industry cabinets, whilst perhaps most excitingly is one of the first panel PCs to truly embrace the Android mobile platform in a truly industrial guise.